Christopher Nolan is one of the rare filmmakers in the world that can do anything he wants. He’s reached a level of critical and commercial success that he has earned the leeway to tell the stories he wants with a blank check. Apparently he’s been eager to tell the big screen story of Dunkirk, the mass evacuation of 400,000 Allied troops on a French beach in World War II, and it would be the first film of his career to not have a crime or science fiction slant. If this is what he has to turn into in order for mainstream Oscar attention then please go back to making your sci-fi puzzle boxes, Mr. Nolan, and let someone else make the underwhelming WWII epics. Don’t believe the effusive praise from critics saying this is Nolan’s masterpiece or the finest of his career. Dunkirk is Nolan’s least engaging film and maybe even the least ambitious of his otherwise storied Hollywood career. Dunkirk is less of a cohesive movie and more a series of moments, never eclipsing the next or coalescing into a larger, more meaningful, more satisfying whole. We keep cutting from primarily three perspectives (air, sea, land) but it fails to feel more than a check-in before moving onto the next vantage point. It’s a shame because the opening ten minutes launch you immediately into this world of danger and Nolan sets up the different perspectives with effective visual clarity. I thought it was a great moment having the soldiers collect the fluttering propaganda fliers meant to remind them about how the enemy surround them. The initial burst of violence is visceral and unnerving. The burial of a soldier in the sand is a somber moment. Things were getting good, and then I kept waiting for the movie to escalate, to hit a new gear, and it never came. Instead it repeated the same plotting that just forced the bland characters from one curtailed escape to another. Screenwriting is about setups and payoffs, and that is strangely absent throughout Dunkirk. Bad things just kind of happen, and then they happen again, and then you tune out. That’s even before Nolan throws in needless non-linear elements that I was ignorant about. Dunkirk is Nolan’s first film under two hours since 2002’s Insomnia, and yet it could still stand to lose even more. After a while, your mind drifts when all you’re watching is poorly written characters, many of whom you can’t identify, jump from one crummy situation to another without a stronger storytelling drive. If you want a more personally involving retelling of the heroes of Dunkirk, just watch the film-within-a-film of the underrated 2017 gem, Their Finest. The miracle of the Dunkirk evacuation is really lost in this film. Without a more involving story, it’s hard to get a sense about the personal sacrifices and risks of the evacuation. The scope feels mishandled. We’re told that 400,000 men were rescued but I did not get any sense of that scale. We’re stuck to a small corner of a beach, or a small section of the sky and sea, for the far majority of the film, which again traps the film at a lower register. We don’t adequately sense the monumental scale of what is at stake. The embodiment of the threat is condensed down to a single German fighter plane that Tom Hardy has to chase for half the movie. It’s like this guy is the freaking Red Baron. Another aspect that exacerbates this issue is Nolan’s haphazard command of screen geography. When the camera is inside the various ships, your sense of space is uncertain. When things go bad, it just all feels like a mess, with no clear indication of where the characters are, their proximity to others, or even the interior design of the ships. Without a coherent sense of geography, the action and suspense is going to be inherently limited. Nolan locks into a claustrophobic sensation at the expense of audience clarity, and without better-developed action and interesting characters, it’s a decision of diminishing returns. The characters are so indistinct that most of them in the end credits didn’t even merit names (Irate Soldier, Shivering Soldier, and Furious Soldier are among the lot). This is one of the biggest mistakes of Nolan’s movie. By not providing characters that an audience can engage with he’s handicapped how much an audience can care. We don’t learn about any of the main characters we follow, with the slight exception of Mark Rylance’s even-keeled seafaring father. I challenge audience members to even remember a who’s who of the young men because I don’t think I’d be able to identify them in a lineup. I was still trying to recall which of them may have died. I haven’t had this much trouble keeping people straight in a war film since Terrence Malick’s The Thin Red Line. With Dunkirk, there are faces we follow really more than characters. The most recognizable is Tom Hardy and that’s because he’s Tom Hardy and not because of anything related to his character. Kenneth Branagh’s character just seems to be here to stare off into the distance with awe and say something about “seeing home.” It’s as if Nolan had no interest in telling a war story from a human perspective, which is a vastly strange approach considering the large-scale human cost. Nolan is a smart filmmaker. He has to know these characters are thinly sketched ciphers at best, so the question becomes why is Nolan choosing to make Dunkirk this way. If I had to hazard a guess I think Nolan was trying to accomplish a visceral, immersive war experience to echo the hopelessness and confusion of those men in jeopardy. They’re meant to be faceless everymen. This would explain why it feels more like a series of moments, of jumping from one failed escape to another and one fraught encounter to another. Nolan does a fine job of introducing conflict (in a wartime setting this also shouldn’t be too hard) but without more distinction he runs the serious risk of everything feeling like more of the same. At the end, thousands of soldiers are ferried back to England and congratulated. One of them is incredulous, not feeling like retreating is worth the fuss. “We just survived,” he says. “Well that’s good enough,” the other says. 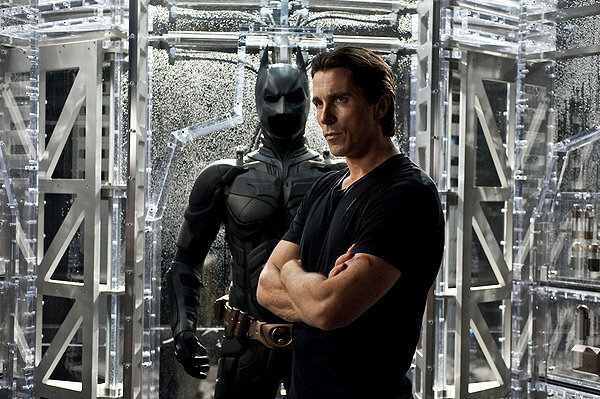 It’s like Nolan intended to place the audience into a crucible where just getting out was enough to satisfy demands. I don’t think it is. From a technical standpoint, Dunkirk is often breathtaking, no more so than in its mesmerizing sound design. 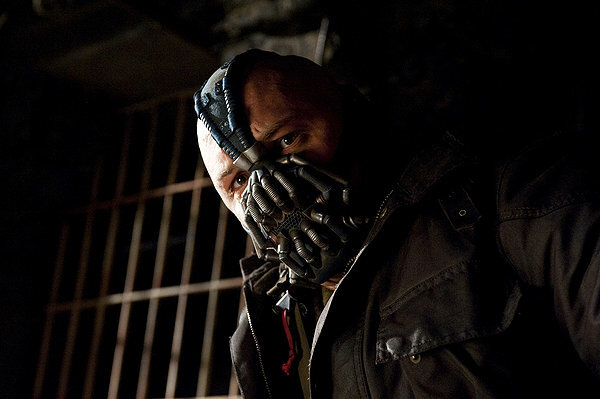 Nolan uses brilliant sound tacticians to heighten your senses and build a sense of dread. An oncoming fighter plane tearing through the sky can raise the hair on the back of your neck. The sound does the heavy lifting when it comes to creating tension. 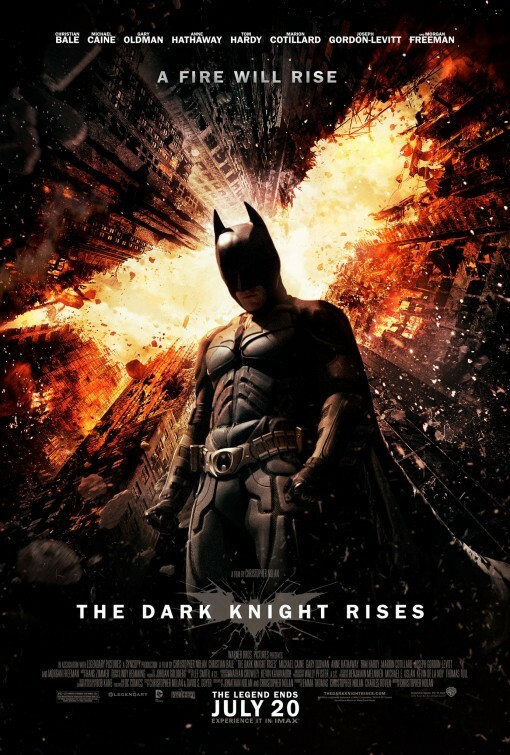 The score by Hans Zimmer is very effective in that regard as well. Its central musical element sounds literally like a ticking clock, which instantly heightens any scene. Granted adding a ticking clock sound against anything would make it more fraught (you’ll never fill out boring paperwork the same way again). Visually, the aerial photography is gorgeous with the IMAX cameras able to take in such startling depths. Cinematographer Hoyte Van Hoytema (Interstellar) has some beautiful visual compositions, especially as different boats capsize and the water rushes in at odd angles. 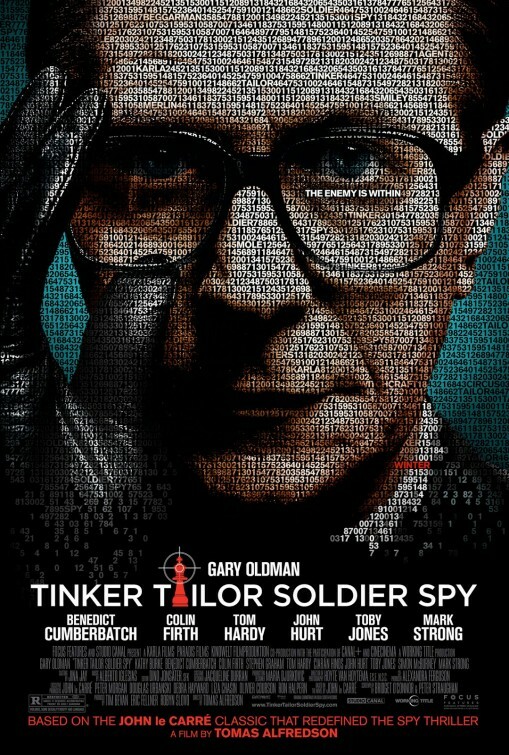 This is a film that has commendable technical achievements. It’s Nolan who lets down his team. War movies often run the risk of being overly reliant upon broad themes of heroism, nationalism, patriotism, sacrifice, and such, which can be in replacement of a strong narrative and well developed, interesting characters. War is a film genre like any other, and there are inherent genre shortcuts that can be abused. However, it’s like any other genre in that, regardless of the setting or situation, you are expected to tell an interesting story with characters the audience cares about. Nolan sacrifices all for the immersion in his war experience machine, providing listless, interchangeable characters and a story that amounts to a collection of harrowing moments but not a movie. My pal Joe Marino chided the movie as akin to visiting a planetarium, sitting back, and taking in the wonderful visual spectacle but walking away unmoved. It’s like Nolan has created the Dunkirk Experience: The Ride instead of an actual worthwhile story. Allow me to begin with a confession. I had to see Mad Max: Fury Road again. I knew minutes into the film that my appetite would not be quenched and I needed to see it again, which I did less than 12 hours later. A week later I saw it a third time in the theater. The reason I did this is obvious in one regard – it’s a highly enjoyable, pulse-pounding, amazing spectacle of first-class stuntwork and mad genius so rarely accomplished on such a large, splendid scale of destruction. The other reason, from a writing standpoint, is that I needed to see the movie again or else my review of Fury Road was going to consist of nothing but an unending stream of positive adjectives vomited upon the page in excitement. And for you, dear reader, I wanted to do better. Also, I wanted to see Mad Max: Fury Road again and I honestly wouldn’t mind in the slightest seeing it again. In the post-apocalyptic future, Immortan Joe (Hugh Keays-Byrne) is an aging warlord with his own fiefdom. He controls the water supply and has an army of gearhead warriors to enforce his rule. His trusted driver, Imperator Furiosa (Charlize Theron), is leading a caravan for supplies when she goes rogue, driving off into the desert. 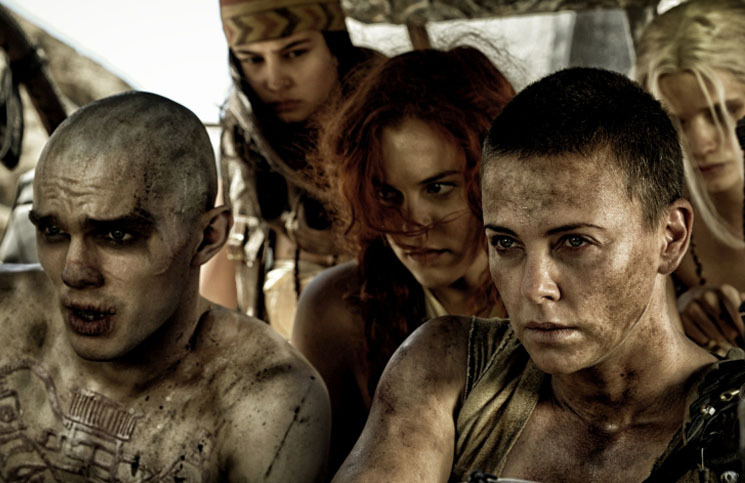 Furiosa has taken Immortan Joe’s “property,” namely his five wives. 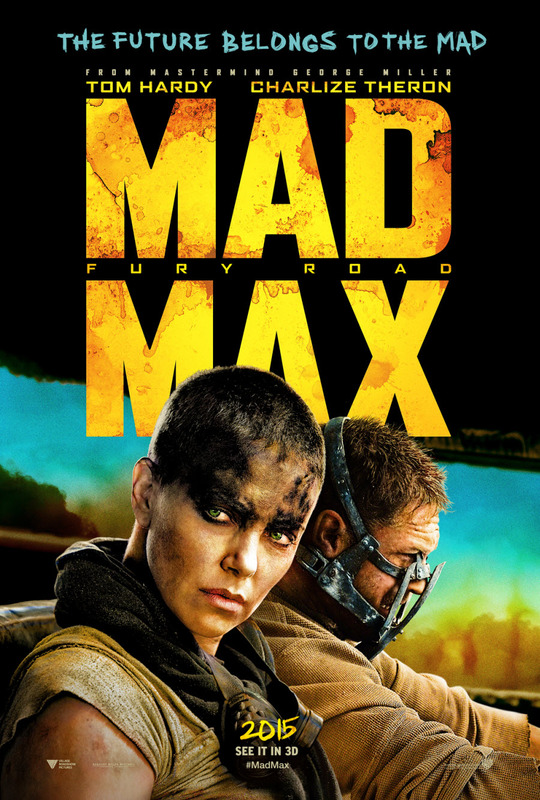 Enraged, Immortan Joe gathers a posse of death vehicles and riders and heads off to reclaim his “property.” Max (Tom Hardy) is a drifter thrust into the middle of this conflict when he’s strapped to a car and driven out into the desert, part of the Immortan Joe rapid response forces. There are few things more exhilarating in the realm of motion pictures than a well-executed, well-developed action sequence, and Mad Max: Fury Road is a blistering, awe-inspiring masterpiece of brilliant carnage. What director George Miller has achieved onscreen is visionary. The level of execution is so rarely seen at such a large scale, and with so many moving parts, that I was delighted and curious how something this extraordinary could escape the risk-averse studio system. I’m trying my best to restrain myself from sheer hyperbole, but this is an instant classic in the world of action cinema and a definite top five all-time action film (for those keeping track, I would say last year’s Raid sequel would also qualify for that status). The movie provided me a font of joy that did not let up until the end credits ushered me out of the theater. The action sequences are epic in their scale, with dozens of different vehicles in hot pursuit, and yet Miller brilliantly orients his audience to every moment of his symphony of demolition. There are so many different parts to the action but the audience knows everything that happens. The sheer sense of momentum and pacing is overwhelming and giddy. The action sequences develop organically, with new consequences throwing our characters into different and dire directions. There’s also a startling amount of variety with the action sequences. Fury Road has been described as a two-hour chase film, and that’s accurate to a degree, but there are breaks in between the sequences, small moments to catch your breath and learn more about our characters and their hostile world. Each sequence is different enough that the action doesn’t ever feel redundant, even when the third act literally requires the characters to backtrack. The adrenaline just doesn’t turn off from the get-go, and Miller keeps throwing out new tricks, new stunts, and new cars to astound and amaze. Simply put, Fury Road shames other American film releases. 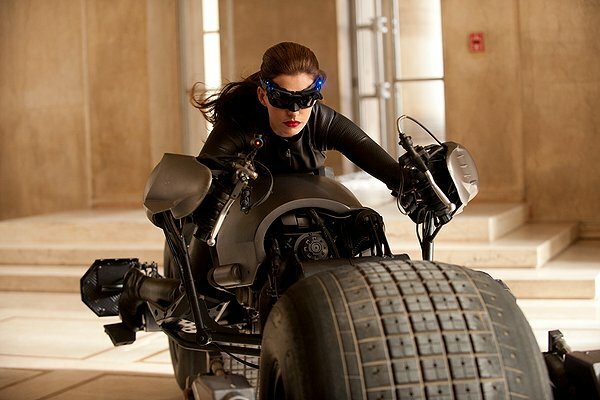 The stuntwork is another facet that just raises the bar when it comes to action movies. Miller emphasized practical effects whenever possible, and the emphasis pay off with a heightened sense of realism onscreen. It’s real cars being smashed to real bits, real stuntmen being tossed around. In an age of CGI over saturation, it’s all too easy to become numb to big screen spectacle because of how hollow it all comes across visually. Just this past month with the Avengers sequel, I knew that all the fight scenes were mostly CGI or actors against green screens, and it eases off the enjoyment of the moment. Don’t even get me started on the deluge of CGI carnage in the last Hobbit film. Real physical objects and physical interaction offer so much more believability in an age of increasing disbelief with special effects. With Miller’s focus on practical effects first and foremost, it brings that sense of crazy excitement back and it ensures that Fury Road will hold up better over time. I also appreciated just how much thought Miller and his team put into crafting their world. Every detail feels like it adds to the overall richness of Miller’s vision. The designs of the cars, the use of scrap, the fact that a pulley system is operated with children running up giant wheels, it all contributes to making the world better realized and more alive. The level of thought put into weird and deadly concepts in this movie is fantastic. Once the main characters pass through a bog of land, we see people dressed in cloaks traversing the land on stilts, and it’s little passing details such as this that make the movie feel more complete. I enjoyed that one of Max’s heroic attributes is that he’s specified for his blood type, being O the universal donor. The fact that Miller finds a satisfying way to bring this attribute back as a payoff is also appreciated. I also enjoyed how Miller expands upon the family of Immortan Joe, with his bevy of freakish sons and brothers and peculiarities. I enjoyed the fact that Miller isn’t afraid to embrace the weird of his dystopia, symbolized best by a blind guitar player attached to a roaming wall of speakers who can shoot flames out of his instrument. Every time the movie cut back to this guitar playing pace setter, I smiled, and I smiled a lot during this movie. Some have grumbled that Max is a supporting player in a movie that bears his name, but I would argue he is a co-lead and the real star is rightfully Imperator Furiosa. Max is not replaced with Furiosa, rather they have an inter-dependant relationship where they’re both vulnerable and they both come to trust the other but without a romantic mingling. These are both wounded, shaken, mistrusting, and volatile people, and to watch their shared sense of teamwork and the gradual opening and reliance upon one another, it is itself an affecting and emotionally satisfying relationship. But back to Furiosa, it’s really her story because she is the one with the personal connection to the mission. Max has always kind of been a wandering warrior who finds himself in other people’s battles. Consider him a post-apocalyptic Man with No Name. Furiosa is the leader who has planned and implemented the escape from Immortan Joe, and it’s she that deserves our attention. I enjoyed the fact that Miller doesn’t even have to explain her past. We know she’s suffered trauma, physical and likely sexual, and he assumes the audience does not need Furiosa’s past abuse spelled out specifically for them, or seen in grisly flashback. She’s a strong woman who is far from helpless with one arm. This is a story about women liberating themselves from sexual slavery under a corrupt patriarchy (more on the thematic relevance below). Theron is our leader and the ferocity in her eyes is all you need to believe that this woman will do whatever it takes for freedom. There’s also a fascinating commentary on the danger of religious fundamentalism with the war boys. These powder-white young men are Immortan Joe’s armed forces and they are promised a swift appearance at the gates of their paradise if they die in battle (“Witness me!” is their exclamation before sacrifice). They spray paint their faces chrome (“Eternal, shiny and chrome”) and then go in for the kamikaze kill. Again, the theme is ripe and obvious but without requiring characters to comment. Nux (Nicholas Hoult, wonderfully deranged and then sincere) actually has the closest thing to a character arc, going from hopeful martyr to independent thinker. He begins as a clumsy yet determined antagonist and becomes a resourceful and unexpected ally. This is practically a flawless film on a technical level. The cinematography by John Seale (Cold Mountain) is bright with lush colors that pop on the big screen. We’ve been treated to far too many color degraded films, so it’s nice to view a movie that wants to use all the colors at its disposal. The musical score by Junkie XL (300: Rise of an Empire) is stirring and pulse-pounding with its heavy percussion, but there’s a languid melody that returns again and again that is emotionally resonant. It’s surprising how the score will punctuate the bombast and wailing guitars with a lovely string arrangement, like when we rush into the sandstorm and a car is blown into the sky. The editing is outstanding by Margaret Sixel (Happy Feet) and she keeps the audience informed with every new twist and turn, and with so many moving parts and changing dynamics, that is a miracle itself. The production design by Colin Gibson beautifully expands and informs this strange world. There isn’t a department in Fury Road that wasn’t at the top of their game. If I had to quibble, I could accept the argument that Mad Max: Fury Road lacks the substance to be considerably more than an exhilarating action ride. The dialogue can be a bit on-the-nose, Hardy mumbles through a majority of his miniscule lines, and the characters aren’t as fleshed out as they could be and the plot is rather bare bones. However, I view its narrative economy as a virtue, as there isn’t a moment or scene wasted in telling this breakneck tour de force of post-apocalyptic demolition. Rarely does an artist get to work at this level in the studio system let alone succeed with a final product that still manages to be strange, mordant, uncompromising, and completely riveting. This is a near-perfect action movie and a thrilling high-wire act of practical filmmaking bravado. 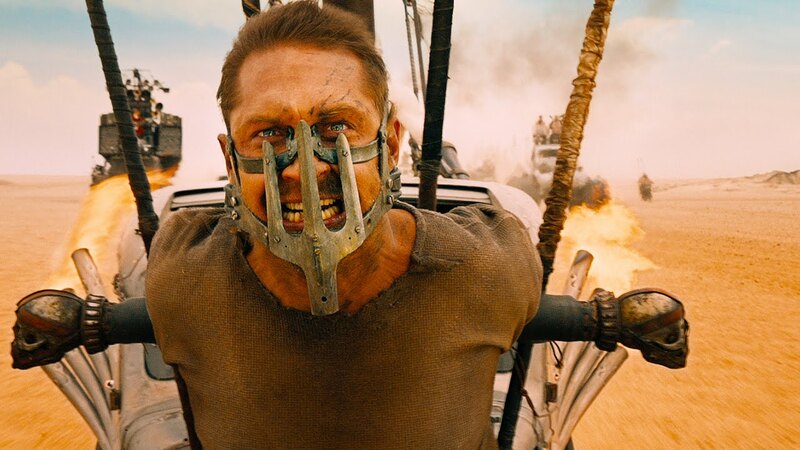 Mad Max: Fury Road is the standard I am going to judge all summer movies by for the rest of the year, and I imagine many will be found wanting. I could continue to heap praise on the movie but the most persuasive stance I can make is that if you fail to see Fury Road on the big screen, you will always regret this decision. I am a disciple of Fury Road and witness my brethren and me. This movie was made for the biggest screen, the loudest sound system, and an endless bucket of popcorn. Unfairly cast out like some unwanted vermin, Child 44 is a police procedural based on a best-selling novel that the studio simply wanted to get rid of quietly. It was “dumped” into theaters and, as expected, began its disappearing act. That’s a shame, because it’s actually a rather involving mystery and an especially fascinating perspective into a little known world of being a cop on the other side of the Iron Curtain. 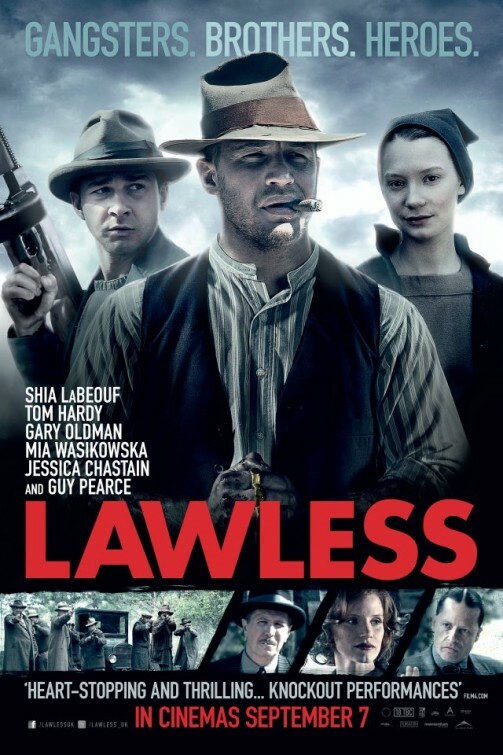 Tom Hardy plays Leo, a member of the Soviet state police who is tracking a serial murderer preying upon orphaned children across the countryside in 1953. His wife (Noomi Rapace) is terrified of him and secretly a rebel informer. The two of them get banished to a Soviet outpost when Leo refuses to turn her in; he also refuses to accept the state’s conclusion over the dead children. In a weirdly perplexing turn, the Soviet Union believed murder was a Western byproduct. “There is no murder in paradise,” we are told several times, and since the U.S.S.R. is a communist worker’s “paradise,” whatever reality that doesn’t jibe with the party line is swept away. The murder mystery itself is fairly well developed and suspenseful, but it’s really the glimpse into this bleak and paranoid world that I found so intriguing. 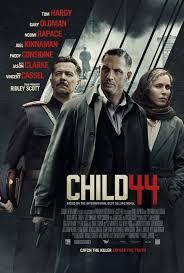 Child 44 is a slowly paced film thick with the details of establishing the dour existence of Soviet Union life. You truly get a sense of how wearying and beaten down these people’s lives were, how trapped they felt, how justifiable their paranoia was. The husband and wife relationship grows as they’re forced to reevaluate their sense of one another, and it genuinely becomes a meaty dramatic addition. Child 44 is a slow movie but the pacing serves the deliberate and oppressive tone of the film. It’s a film with some problems and missteps (certain antagonists make little sense in their motivations), including some incoherent action/fight scenes (fighting in the mud? Way to visually obscure everybody, guys). However, this is a better movie than the studio, and a majority of critics, would have you believe. 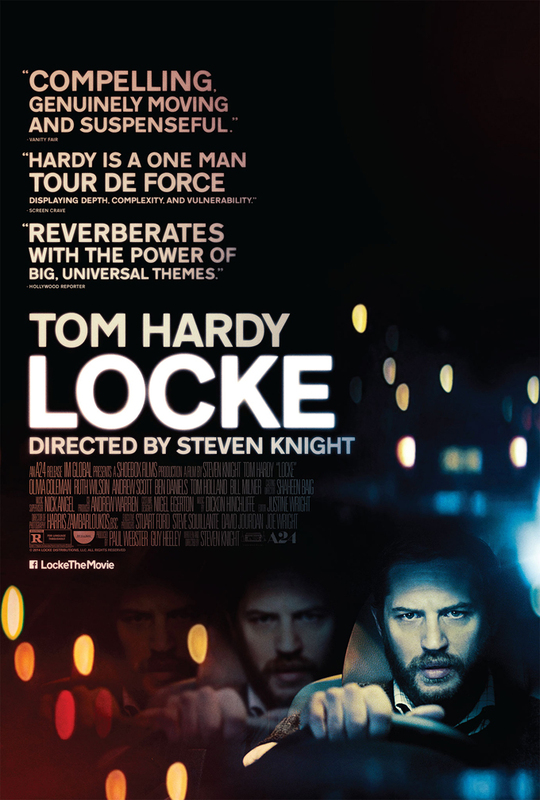 It’s engrossing and taut and ambiguous and consistently interesting, with another standout performance by Hardy. Like many of the characters, this movie deserved a better fate. 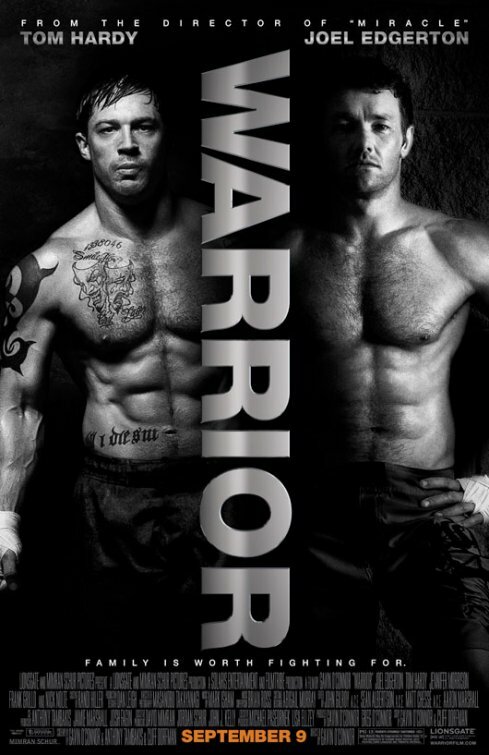 This may be a mixed martial arts (MMA) movie in appearance, but really Warrior is put together like a traditional boxing movie. Director/co-writer Gavin O’Connor (Miracle) takes a kitchen-sink approach to storytelling; just about every damn dramatic thing you can think of, short of emergency baby deliveries, is stuffed into this movie. You’ve got two brothers, one a hard luck school teacher (Joel Edgerton) trying to save the bank from taking his home (his family is broke due to his sick daughter’s medical condition), and the other (Tom Hardy) an Iraq War vet who saved lives and wants no glory, for he’s haunted by the men in his platoon who did not survive. Add a drunken father (Nick Nolte) trying to live life on the straight-and-narrow who wants to get back in his sons’ good graces, the teacher’s community rallying around him, the Marine’s comrades in service rallying around him, and some major personal issues between brothers (Hardy feels that his bro abandoned him and their sick mother), and two competing underdog tales, and my God, it’s hard not to feel beaten into submission. But damn if it isn’t effective stuff. I was tearing up at multiple points, completely sucked into the drama, riveted by the brutal, adrenaline-pumping MMA fight scenes, and pining for family reconciliation. Hardy and Edgerton flex more than their muscles on screen; each gives terse, heartbreaking, completely convincing performances as broken-down men struggling for redemption. You don’t have to no a lick about MMA to get hooked by the heavy emotional beats of the movie. Warrior is by no means a subtle movie, but it pushes all the sports genre buttons expertly, presenting a gratifying, affecting meat-and-potatoes drama that grown men are given permission to get weepy over.